The aim of this volume of essays is to provide insights into theatre in South Africa since the first democratic elections. It seeks to do so by focussing on new plays written, developed and produced in the country since 1994. This is an ambitious and praiseworthy enterprise, and has resulted in a sizable publication (384 pages of closely set print) containing a most interesting collection of twenty focussed essays written to a well-wrought template by a formidable list of fine critics, artists and academics. Containing discussions of more than a hundred South African plays, the book in fact goes a long way to realizing the basic aims outlined by the three editors in their Introduction. A well constructed and impeccably edited overview of some of the more significant work produced in the period under review, the volume provides some fresh and thought-provoking insights into the work of a whole range of South African playwrights and theatre-makers. Besides the contextualizing Introduction, the essays fall into two broadly defined groups. 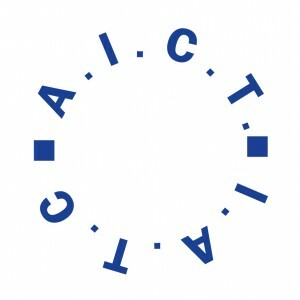 The first group consists of a miscellaneous set of six studies looking at a range of alternative forms (for example, physical theatre, community theatre, one-person plays) as well as plays/productions created through various processes of what has recently come to be referred to as “playmaking”—that is, creation through improvisation and workshop processes. This, as they point out, is essential when considering the divergent creative processes that have evolved in South African drama, theatre and performance. The section is introduced by Sarah Roberts’s article on “The Pioneers,” a piece largely limited to the invaluable transitional work done by the late Barney Simon, some playmakers involved with him at the Market Theatre (such as, Gcina Mhlope and Mbongi Ngema) and the work of Phyllis Klotz and Smal Ndaba. No doubt constrained by the space allocation, this can only offer a rather limited interpretation of the notion under discussion, though there were any number of other innovative companies and individuals at work in those transitional years—some of them are discussed later in the volume, but many others not at all. The need to be selective is of course an inevitable result of trying to compile an overview of a country’s whole theatrical output and the system that produced it, since space to expand on issues (for instance, provide a bit more of a context for the issue under discussion, or say more on the antecedents for the activity being reported on) is always going to be limited. Emma Durden’s exploration of what she refers to as “popular community theatre” is another good case in point. She really has little to say about the theoretical distinction she makes between “community theatre” and “popular community theatre,” or about the longer term history of the whole applied theatre and community movement in the country, from its roots in the 1970s, through the very fruitful 1980s and 1990s, to today. The article basically looks at two late examples as case studies. It seems to me this is a major undervaluation of very powerful influence on the nature of theatre and theatre-making in the country. A pity, since what we do have here is excellent. However, the rest of the essays in the section are less constrained in scope and generally substantial and well researched, foregrounding some very important trends in South African performance. For example, Veronica Baxter manages to fit quite an inclusive overview into her wonderful exploration of the nature and practice of theatre making in “One-Person Format,” while Robyn Sassen’s discussion of the establishment, evolution and role of what we now refer to as “Physical Theatre” is happily free of jargon and one of the most lucid pieces I have read on this issue for a long while. Likewise, Yvette Hutchison’s erudite analysis of the theoretical and practical impact of Mark Fleishman and Jennie Reznek’s Magnet Theatre on theatre-making practice in the country is a fine example of cultural research. By contrast, Jane Taylor’s insider view of the creative processes involved in some of the renowned productions done by the fabulous combination of Taylor herself, William Kentridge and the Handspring Puppet Company is an enjoyable look at the minutiae of their type of collaborative creation. The second set of fourteen chapters is more narrowly devoted to in-depth studies of individual playmakers and/or playwrights (still) active and writing predominantly in English in the period since 1994. The section predictably begins with a somewhat generalised overview by Dennis Walder of the phenomenal career of South Africa’s most celebrated playwright, Athol Fugard. Then come a series of insightful essays on some of the other major playwrights from the era: Reza de Wet (by Anton Kreuger), Paul Slabolepszy (by Adrienne Sichel), Zakes Mda (by Kene Igweonu), Lara Foot (by Loren A. Kruger), Mike van Graan (by Brent Meersman), Craig Higginson (by Michael Titlestad), Mpumelelo Paul Grootboom (by Muff Andersson) Brett Bailey (by Kevin J. Wetmore Jr), Pieter-Dirk Uys (by Mervyn McMurtry), Fatima Dike (by Miki Flockemann and Rolf Solberg) and Yaël Farber (by Marcia Blumberg). The writing is almost universally good and the research thorough, critically sound and well documented—making this a very useful reference book for critics and students alike. These essays are followed by an account of some “Emerging Playwrights and Significant Plays” by co-editor Greg Homann, focussing specifically on John Kani, Juliet Jenkin and Neil Coppen, after which the book concludes with Homann’s interview with the theatre manager and playwright Aubrey Sekhabi. It is a very imposing range of writers and texts, and the collection gives one a real sense of the immense creativity—as well as the occasional sense of frustration—alive among theatre makers in the new open and “democratic” South African environment, from the euphoria of 1994 on into the more turbulent and less assured first decades of the new millennium and the slowly evolving new social and political concerns about the country over the past ten years. Equally impressive, but perhaps less easy to categorise and discuss objectively, is the implicit “conversation” taking place between the various critics and commentators involved, as they analyze and discuss their assigned playmakers and their works. In the process, they tend to refer to or cite each other, and comment on the critical writing of colleagues, as they each pursue their own distinctive arguments. The result is a pleasing sense of connectedness that pervades much of the volume. In view of this, it is rather a pity that the editors decided against providing brief biographical details of the various contributing authors, for even though it is a very impressive team, they are not all universally known. The foregoing is really a minor matter, of course, but there is another, far more disturbing, aspect to this otherwise admirable publication; a problem highlighted (and perhaps even caused) by the particular choice of title for the volume. By describing the work as a “Guide to Contemporary South African Theatre” the editors set up a number of expectations about the publication that they ultimately do not—and perhaps cannot—meet. For example, the use of the term “South African theatre” implies an overview not only of playwriting, even “playmaking,” but also of play production processes and, perhaps, even aspects of the broader theatrical polysystem (and its range of sub-systems)—which, of course, would encompass far more than playwrights/playmakers and their products only. The narrower focus on writers/playmakers and new South African plays evinced by this volume, therefore, pays scant attention to the many significant directors, translations, festivals and other systemic factors that go to make up the complex entity we experience as “South African theatre.” This is really a major issue—and would have been problematic no matter what country you were talking about. In fact, the Introduction acknowledges the point to some extent by saying that “. . . the country’s rich tradition of drama is not predominantly grounded in playwriting, nor is it a theatre that has historically been driven by the interests of playwrights.” However, the editors stop short of acknowledging the full implications of that very true statement, though I do appreciate that the first six essays do constitute a real attempt to at least address some of the lacunae. The situation is further exacerbated by the conscious choice they have made to only focus on writing and performance in English language (or work predominantly in or translated into that language). The choice to ignore all plays and performances in the other ten South African languages is perhaps understandable given the probable market for the book, but the approach can be suggestive of a worrying kind of linguistic myopia in critical thinking. This would have been a problem in any multilingual (or non-English) country, but is a particularly sensitive issue in South Africa today—as it has long been. So, the question that arises is: why change the format of the title in the first place? The other volumes in the fine series (those for Ireland, America and Britain—all edited for Methuen by Middeke and Schnierer) read “Guide to Contemporary . . . Playwrights,” why not this one? Surely, that is what the volume is really about— though the term “playwright” perhaps needs to be a bit more broadly defined than in other countries (to encompass group creation, facilitators and playmakers). Not changing the format would already have taken a substantial part of the sting out of the issues discussed above, and revising the title to read something like The Methuen Drama Guide to Contemporary English Playwriting in South Africa would probably have avoided these pitfalls completely. 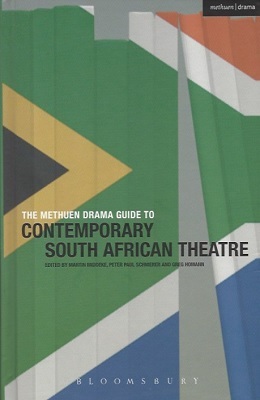 In conclusion, then, while The Methuen Drama Guide to Contemporary South African Theatre does not represent the entire spectrum of theatre and performance in the post-Apartheid period, it is, nevertheless, a very useful overview of English-language theatre practice in the country and, as such, is undeniably a most important and pleasing contribution to South African theatre studies. It is, however, a book to be read and used with some caution, particularly by anyone unfamiliar with the broader scope of arts and culture in South Africa. *Temple Hauptfleisch is a Professor Emeritus of Drama at Stellenbosch University and a co-founder and editor of the South African Theatre Journal. 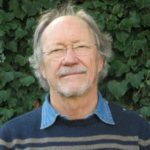 A long-time director of the Centre for South African Theatre Research, he is a former member of the Editorial Advisory Board of Critical Stages.